I love buying seasonal decor items on clearance. You would be surprised what you can find. Often, you can find neutral items that could easily be any season. And often, the seasonal items aren't out of season. It's just time for the store to move on to the next season. 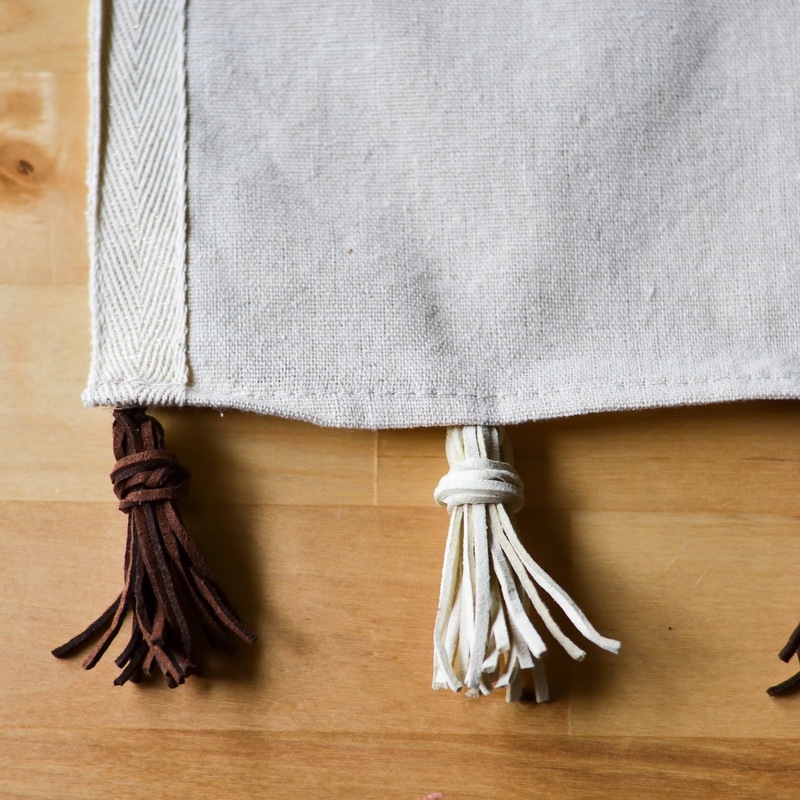 I took advantage of these clearance items - some faux suede and a neutral table runner to make a tassel runner for Thanksgiving - but really, this runner will likely be a part of my decor for the majority of the year! A couple of days after Halloween, I hit my Target and hit the decor jackpot. 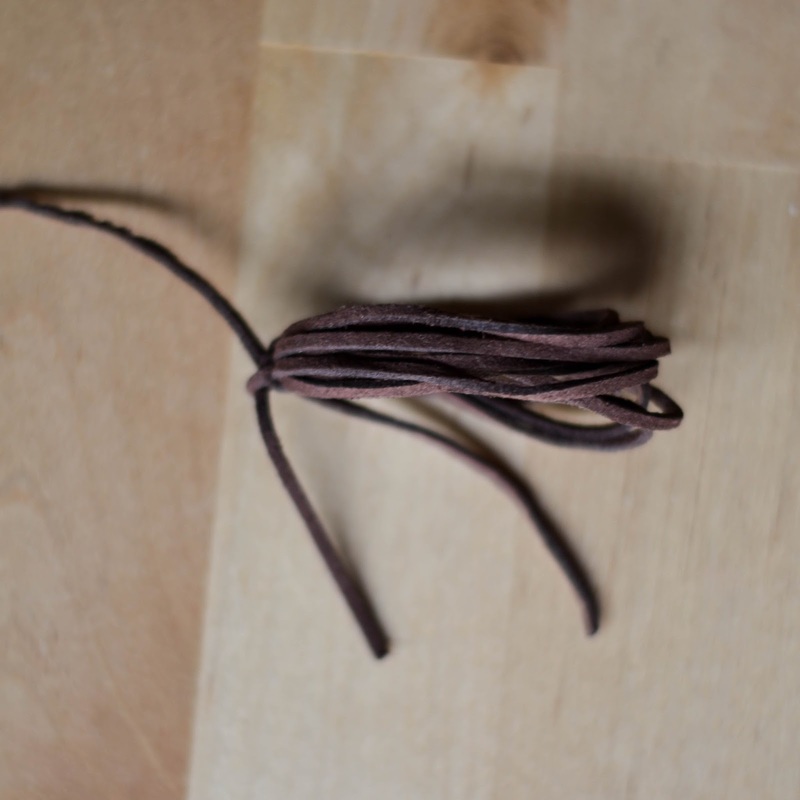 Even though it was still several weeks to Thanksgiving, there was a whole lot of neutral fall craft and decor items. 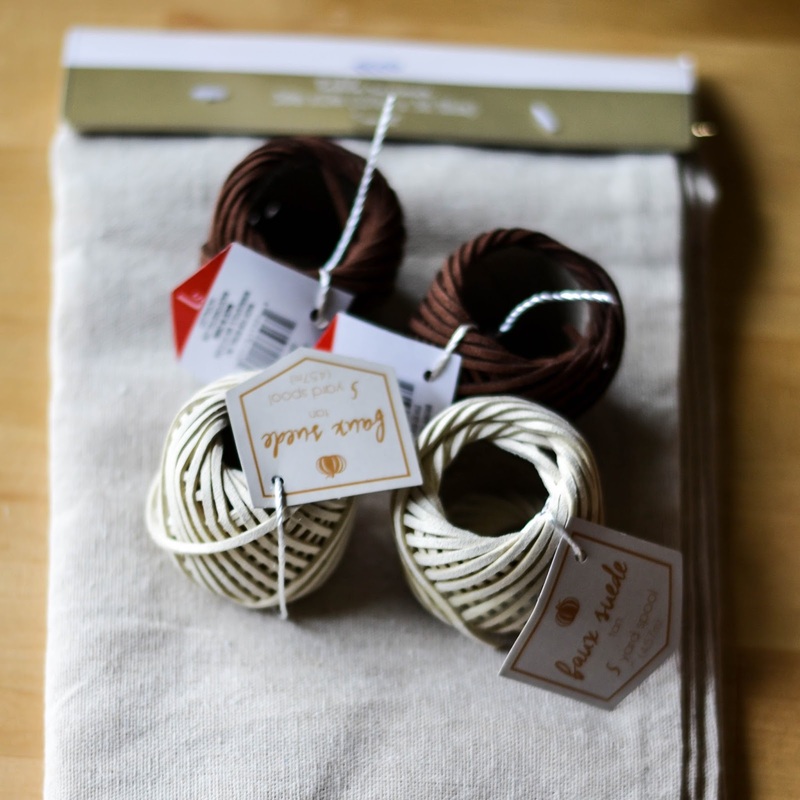 I snagged a couple of spools each of brown and cream faux suede and a table runner for less than $3! 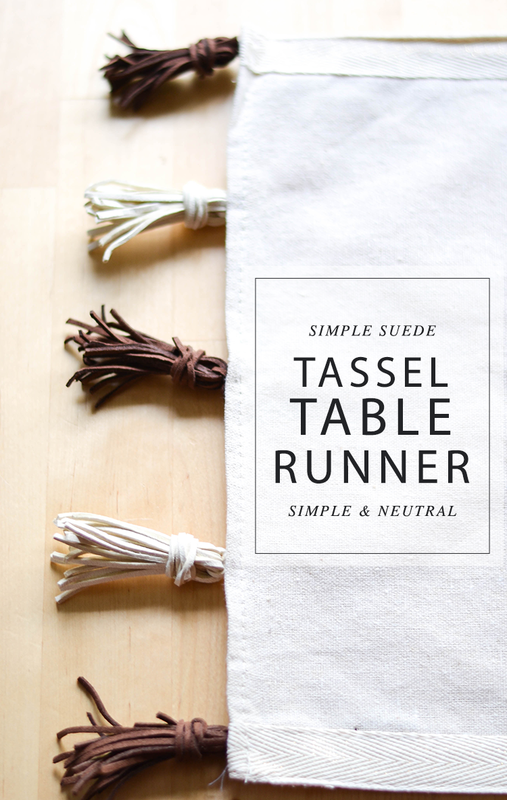 Making an embellished table runner from these supplies is super simple! 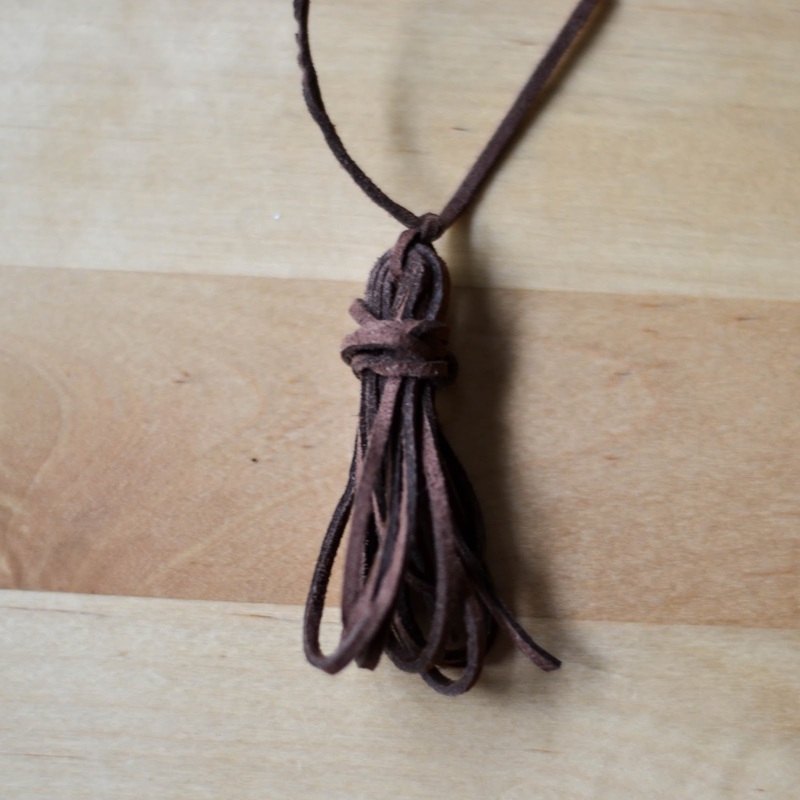 Take the suede and wrap it around 3 fingers around 10 times. 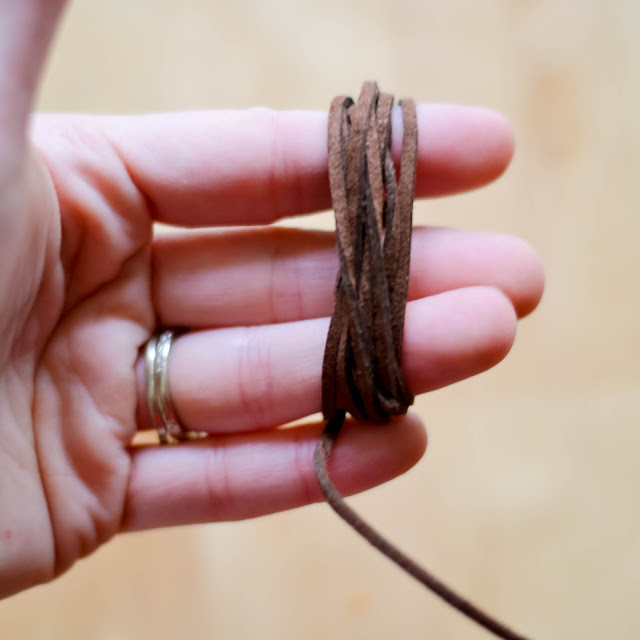 Cut the bunch from the remainder of the spool. Tie a small piece onto what will be the top of the tassel with a double knot. Wrap a piece of suede around the bundle, about a quarter of the way down from the top. Tuck in the ends to secure. Cut the bottom loops off at the bottom to finish the tassel. 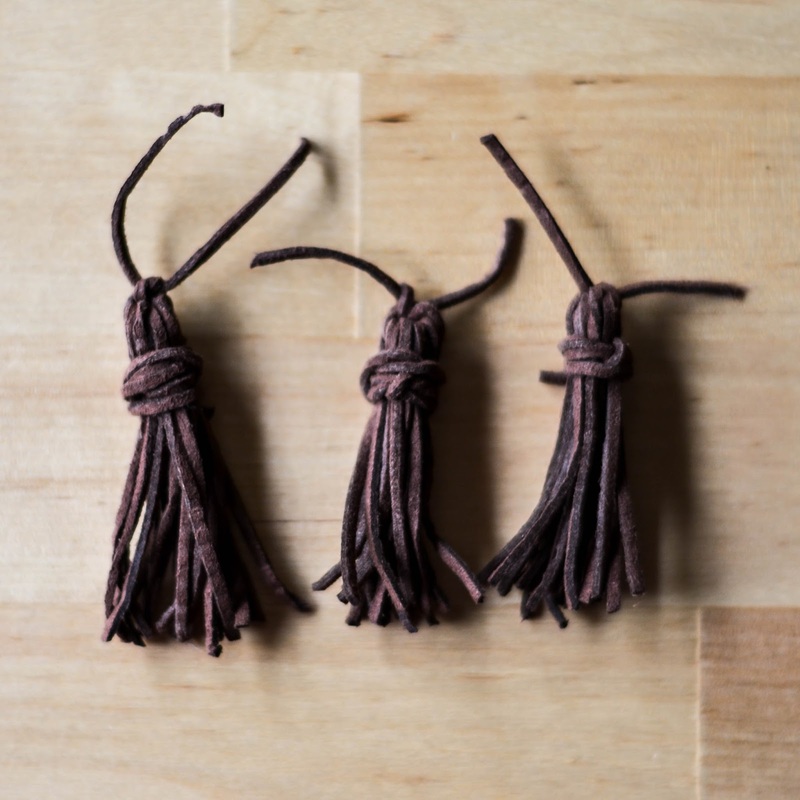 Make 6 brown tassels and 4 cream ones. 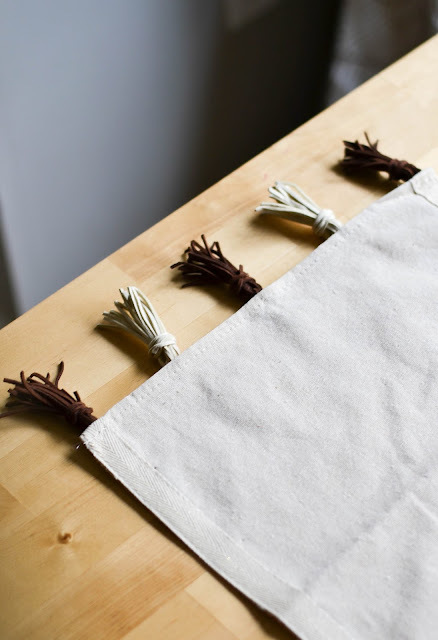 Use thread and a needle to hand-stitch each tassel onto the ends of the runner. I alternated brown, cream, brown, cream, brown on each end of the runner. And that's it. 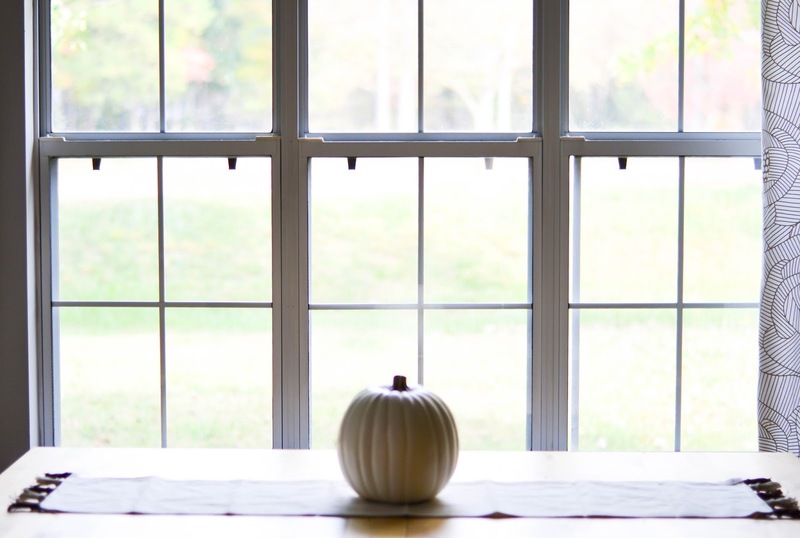 It's really a simple way to decorate any table - you could easily pick different colors to celebrate each season! But I have to admit that the neutral palette really speaks to me right now. And I can't wait until this table is full!